From one-of-a-kind bathroom tile to a stunning porcelain tile backsplash, you can trust the tile designers at Limelight Tile & Ceramics to help you create a design to fit your personal style. We have created tile designs that you can pick from and customize or we can design something specifically for your project. 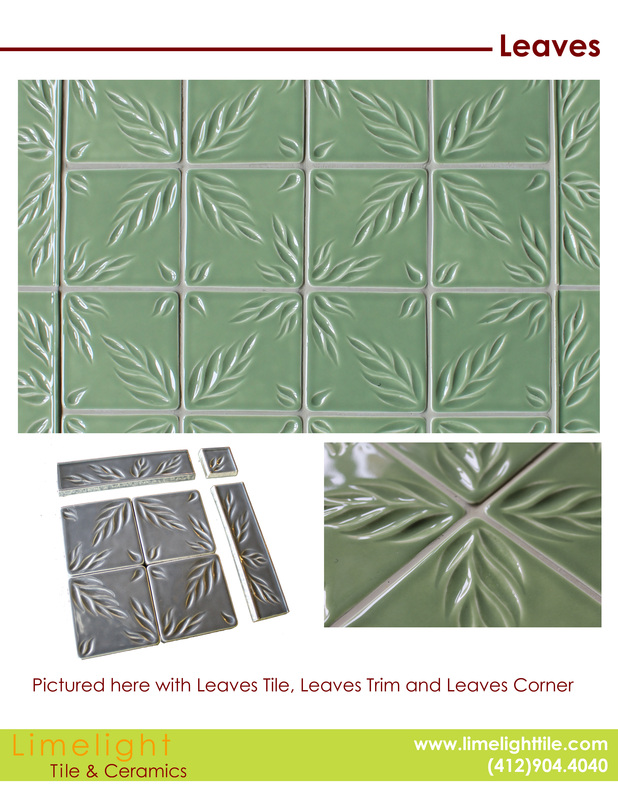 Our Leaves tile design lines up perfectly on the edges to create a more prominent design element for any room. This decorative ceramic wall tile is available in 300+ colors, so you can decide on the color that fits the best into your design. Reach out to our team to schedule a one-on-one consultation by calling (412) 904-4040 right now. During this consultation, our designers will walk you through the design process and listen to your design ideas. From there, we will either help you personalize one of our tile designs like the Leaves or work on custom ceramic tiles for you.